Sheila leads a double life. She is an Underwriter by day with passions for gluten free cooking & baking. Her recipes are back to basics foods that are simple and easy & not super fancy! Sheila is the founder of Cooking Underwriter,and loves to share her fabulous and easy recipes with the world. 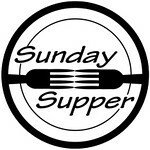 Sheila is a contributor for #SundaySupper every Sunday from 7pm to 8pm Eastern Standard Time. In addition Sheila loves to visit the Disneyland Resorts and Walt Disney World in her spare time. She is always inspired by all the gluten free food options available at both Disneyland and Disney World. Sheila currently writes for two other web sites The Disney Moms and Meet The Magic. She discusses the food option to those affected by celiac disease; by visiting the different restaurants, the food carts and the various shops. Sheila currently reside in Los Angeles, California with her husband and daughter.